The following people have been with BART either as postgraduate students or as postdoctoral researchers (in some cases, both!). These valuable members of BART contributed significantly to our work, and they also helped to make this a pleasant group to work within. We miss them, and wish them well in their new positions. 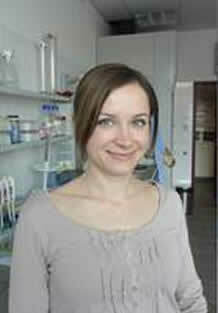 I graduated from the Department of Biochemistry, Masaryk University, Czech Republic in 2009. For my Master's degree I studied the metabolism, process kinetics and bioenergetics in a model acidophilic bacterium, which is widely used in bioleaching industry as a part of bacterial and archaeal consortia. I carried on with closely related PhD research again under the supervision of Associate Professor Martin Mandl, studying gene transcription profiling during anaerobic bacterial processes. At the end of my PhD I had the opportunity to join the BART team in Bangor. I was appointed to the position of Research Officer on the BioMOre project, which is a collaborative project between 23 partners, both industrial and academic, aimed at extracting metals from deep mineral deposits in Europe in an environmentally friendly way. BART is leading a Biotechnology and Process Modelling package within the project. My part is to carry out a laboratory simulation of in-situ bioleaching, monitoring the dissolution of sulfide minerals and the metal release due to bacterial processes, while running a series of laboratory tests on Kupferschiefer ore deposit (Poland-Germany). I will also carry out tests for the decommissioning phase to eliminate bacteria, archaea and their by-products introduced into the environment during the bioleaching process. I obtained a first class degree in Industrial Microbiology from University College Dublin in 2001, thereafter obtaining a PhD in Microbial Ecology from University College Cork in 2006, studying epilithic microbial communities. Subsequently I undertook brief postdoctoral research at Nottingham University, before going back to my rock (mineral) roots by joining the Planetary and Space Sciences Research Institute at the Open University (OU) in Milton Keynes, where I characterised microbial communities inhabiting rocks of (primarily) volcanic origin. It was during this period at the OU (from 2008 to 2011), that I began to truly comprehend the significance of microbe-mineral interactions in environmental microbiology and microbial ecology, recognising that my ambitions were to further my understanding of and research in geomicrobiology, and the related discipline of astrobiology. In 2012 I joined the tree-microbe interactions group (IAM – interactions arbres-microorganismes) at the French National Institute for Agricultural Research (INRA) in Nancy, to investigate the microbe-mediated weathering of soil minerals. While working at INRA I secured a permanent lectureship in Microbiology at Manchester Metropolitan University (MMU), which commenced in January 2014. At MMU I continued and expanded my geomicrobiology research while pursuing a postgraduate qualification in teaching. Shortly after taking up my lectureship, I secured a Marie Curie Intra-European Fellowship, which I postponed commencing until April 2015. While retaining my lectureship post at MMU for the duration of my Marie Curie Fellowship (PARMIN project), I am currently based at Bangor University within the BART group. For up-to-date details of PARMIN, and indeed my prior research (and publications), please visit my personal website (https://laurackelly.wordpress.com). I graduated from Aberystwyth University in 2009 with a BA in Welsh and Geography. I had a keen interest in environmental geochemistry which led to a MSc in Environmental Monitoring and Analysis, again at Aberystwyth University. For my Master’s thesis I studied the bioavailability of potentially harmful elements, particularly fluorine and lead, in the historic mining area of Derbyshire. As part of my Master’s work, I also studied the effects of abandoned mine discharge on the geochemistry of the surrounding water course in both north and south Wales. It was during this research that I first heard of “green rust” – an iron oxy-hydroxide mineral capable of removing contaminants and potentially harmful elements from contaminated mine discharge. When the opportunity of a green rust related PhD research position became available at Aberystwyth University and Bangor University I grabbed it with both hands! My project is to study the biogeochemistry of an abandoned coal mine where a natural deposit of green rust has previously been found within an accumulation of ochreous sludge. By first investigating the parameters for green rust formation the aim is to replicate these conditions in the laboratory. I completed an M ENVSCI Environmental Science at Bangor in 2012. My extended honours project looked at taking a problem (bracken) and turning it into a solution (peat replacement in compost). The topic of my PhD in Environmental Microbiology was the biogeochemical processes that contribute to the formation of extremely acidic iron-rich water in a grotto at Trefriw Wells Spa, North Wales. This involved investigating relationships between geochemistry (particularly iron and microbiology in an extreme environment, where the behaviour of both can be different to those of standard conditions. I have also worked on a report on the potential of coal mine drainage remediation potential of organic matter present at a wetland site for the Coal Authority, whilst at Bangor. 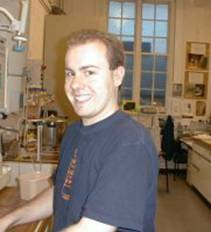 I first came to Bangor in 2007 as a visiting Ph.D. student to learn isolation techniques for acidophiles as part of my project, to isolate iron-oxidizing acidophiles and investigate their application in mine water remediation. 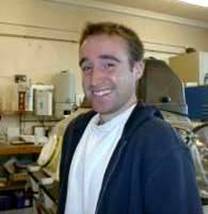 I returned to Bangor in 2009/2010 to reinforce my collaboration with BART and expand my studies by undertaking physiological characterization of novel acidophilic iron-oxidizers. Since July 2010 I have been employed as a Research Support Officer at Bangor University and I graduated from Freiberg University of Mining and Technology (Germany) in July 2011 with a Ph.D. degree as a result of the joined work between Freiberg and Bangor. I came to Bangor to start my Ph.D. project in January 2008. I am from Chile and I completed my B.Sc. degree in Biochemistry and my M.Sc. 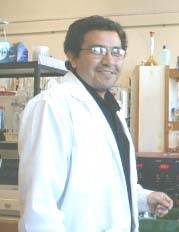 in Biochemical Engineering at Universidad Católica de Valparaiso. Back in Chile, I have an appointment as a lecturer in the Department of Desert Agriculture and Biotechnology at Universidad Arturo Prat, Iquique (www.unap.cl). My masters thesis was related to the biooxidation of a refractory gold concentrate using the thermophilic archaea Sulfolobus metallicus, which is an extremely acidophilic microorganism. Also Iquique is an important region for biomining activities in order to recover copper from sulphide minerals. Due to these facts I applied for a Ph.D. position within BART to examine areas of research such as bio-shrouding and environmental protection from mining activities. My Ph.D. position was sponsored by Mecesup Program of Ministry of Education and the Universidad Arturo Prat. I came to Bangor after completing my Ph.D. thesis, which focussed on the use of acidophilic microorganisms to enhance the recovery of gold from sulfidic ores, a process often referred to as “bioleaching” or “biomining”. Having developed an interest in these unusual microbes, I joined BART to study the use of acidophiles for the remediation of acidic waste waters. 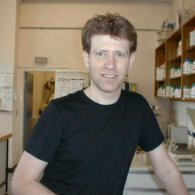 Initially I studied the degradation of aromatic compounds, using phenol as a model compound, by acidophiles as part of a BBSRC sponsored project in collaboration with Professor Peter Williams, also of SBS (for further information on biodegradation at Bangor see http://biology.bangor.ac.uk/research/biodegradation/). I am now involved in research into the underlying biological and geochemical principles of acid mine drainage (“AMD”) remediation using passive treatment technologies. 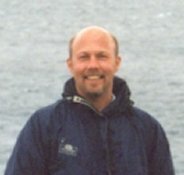 I use molecular techniques and traditional cultivation techniques to study the biogeochemistry of wetlands constructed to remediate coal mine effluents in the northeast of England and at the passive pilot treatment plant built at the disused Wheal Jane tin mine in Cornwall (see Research Projects page). I was born in the first region of Chile in a small town called Victoria, where nitrate was produced for many years, until it was stopped in 1978. Then my family moved to Antofagasta, a nice city located in the second region of Chile. I completed my B.Sc. 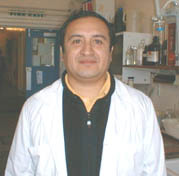 degree in Biochemistry at Universidad Católica de Valparaiso (www.ucv.cl) in 1997. In 1998, I returned to Antofagasta and I started to work in a project to establish a Mining Microbiology Laboratory at Universidad Catolica del Norte (UCN, www.ucn.cl), which nowadays has became the Centro de Biotecnologia of UCN (www.lmt.cl). It is a well equipped and friendly laboratory, lead since the very beginning by Dr. Cecilia Demergasso. Kathryn completed her Ph.D. at The Institute of Grassland and Environmental Research, Aberystwyth, and an M.Sc. 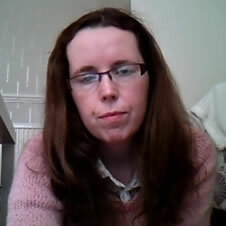 at The University of Wales, Aberystwyth, and (prior to years of work and travel) her degree at Cardiff University. Her interest in the functional biodiversity of micro-organisms and its applications for industry and the environment brought her to Bangor. Northern migration complete (any further and I would have to leave Wales! 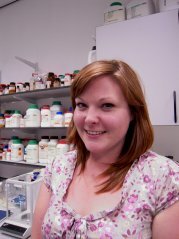 ), Kathryn was involved in the Bioshale and BioMinE projects within BART. Both of these projects involved the exploitation of micro-organisms that are able to recover (potentially toxic) precious and semi-precious metals that would otherwise remain in the environment. At BART, her main research foci were (i) the identification and characterisation of novel micro-organisms for the extraction of metals from low-grade ores, and (ii) the development of a novel system for selective recovery of metals from waste streams and process waters, using microbial sulfidogenesis. Now Katrhyn has left Wales and continued her northern migration all the way to Finland, where she is now carrying out research at the Tampere University of Technology. 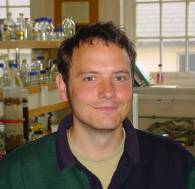 I was awarded a Ph.D. by Bangor University in early 2008, and I am currently employed as a research officer on the BioMinE project. My post-graduate research project (carried out in BART, and sponsored by the NERC and Paques bv., the Netherlands), focused on the potential for the application of a range of acidophilic microorganisms for the bioremediation of acid mine drainage (AMD). Two main biological systems were examined (sulfate reduction and ferrous iron oxidation) and tested at low pH. A number of abandoned mine sites were also sampled, and complex interactions involving micro-organisms that cycle iron, sulfur and carbon were elucidated. Also, a number of novel acidophilic micro-organisms were isolated from these sites and characterised in the laboratory. The main focus of my present work is to characterize acidophilic sulfate-reducing bacteria (SRB) that I obtained during my Ph.D. studies and since, and to incorporate them into a novel system for the selective treatment of acidic mine waters containing a mixture of dissolved metals. Owen is now in Umeå, Sweden, to find out what Kevin enjoyed there! Lycka till (good luck in Swedish) Owen! Ellie completed her B.Sc. in Marine Biology at the University of Liverpool, spending her final year at the recently closed Port Erin Marine Laboratory on the Isle of Mann. Following this she spent two years away from academia carrying out dive survey work on coral reefs off Zanzibar and working as a microbiologist in a food testing laboratory. 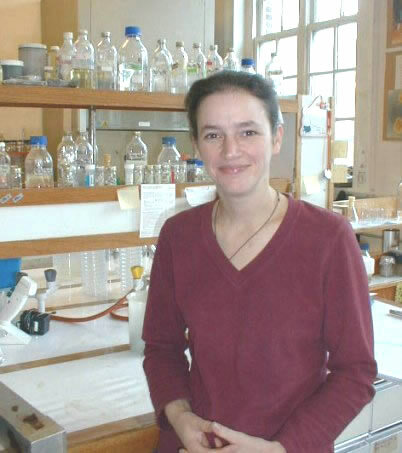 She undertook her Ph.D. at Plymouth Marine Laboratory whilst registered at the University of Warwick, and focused on virology, microbiology and molecular biology. A desire to diversify and work with extremophiles brought Ellie to Bangor and BART, where she worked on the BioMinE project. Ellie is now a postdoctoral researcher at the University of Exeter. Originally from near Peterborough, I came to Bangor for the complete change in scenery and to enjoy the excellent SCUBA diving to be found in the area. I have taken my undergraduate (in Marine Biology/ Oceanography) and masters (Environmental Chemistry) level degrees here due to an interest in pollution remediation. Richard worked at BART on the development of biological systems, pioneered by the team here to remove manganese from contaminated waters, which led to a Ph.D. degree for him. Richard is now working for GEMS Survey as a Metocean Data Analyst, where we wish him continued success. My first involvement with the University in Bangor was with the Postgraduate Teaching course in 1972/73, having been attracted by the mountains and the excellent climbing in this area. Following a couple of spells in teaching, I joined the University’s payroll in 1979 as a graduate teaching technician but soon moved into microbiological research. I have been the ‘resident’ technician for BART for over 10 years. Naoko hailed from Hiroshima in Japan and studied for her first degree at the University of Osaka where she also gained a higher degree (Master of Engineering). 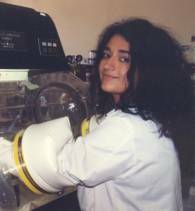 She joined us in September 1999 to study for a Ph.D. in which she looked at the role of moderately thermophilic acidophiles in mineral processing. 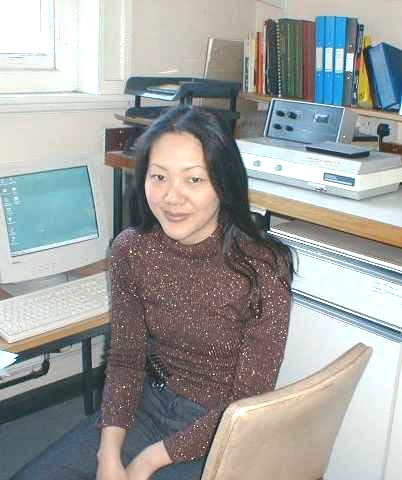 Naoko left us in 2003 (as Dr Naoko Okibe...) after a successful 4 years of study. Following work in laboratories in Germany and Australia, she rejoined BART as a Postdoctoral Research Officer as part of the BioMinE project before finally accepting a permanent job in Japan in the Microbiology group at the Research Institute of Innovative Technology for the Earth in Kyoto (http://www.rite.or.jp/). Both of her stays with BART were enjoyed by all and we wish her well for the future. Sakurako came from Ashiya city, near Kobe in Japan (the web page of the city is http://www.city.ashiya.hyogo.jp/ ), to Bangor in 1997 and took a one year English foundation course before starting a B.Sc. in Environmental Biology. After completing her undergraduate course in 2001, she started studying for a Ph.D., researching into microbial communities and interactions in extremely acidic environments. Although aerobic metabolism of acidophiles has been studied in some detail, relatively little is known about the how these extremophiles adapt to anaerobic environments. In her project, she attempted to isolate obligately and facultatively anaerobic acidophiles from environmental samples, and investigated how these prokaryotes respire (or ferment) in the absence of oxygen. Following successful completion of her Ph.D., Sakurako moved back to Japan where she is currently a member of the Microbiology group at the Research Institute of Innovative Technology for the Earth in Kyoto (http://www.rite.or.jp/). We enjoyed the years Sakurako spent with us at BART, and wish her continued success in her research career. 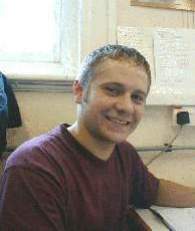 Kris first arrived in Bangor as an undergraduate in 1998 and was instantly taken in by the place. Coming from south London it was a refreshing change from the hustle and bustle of a busy city. He graduated from the University of Wales, Bangor with a B.Sc. 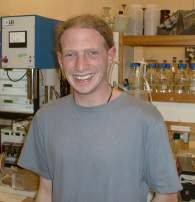 in Biology (2001), having completed his final year project with Dr. Barrie Johnson. He joined BART later that year in September as a Ph.D. student looking at the now disused Parys copper mine on Anglesey. 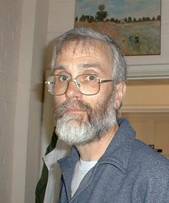 The main focus of his work was concerned with analysing and quantifying the microbial ecology and biogeochemistry of the acid mine drainage (“AMD”) within the mine and the wetlands surrounding the site. Following the completion of his Ph.D., Kris stayed on with BART as a Postdoctoral Research Officer on the Bioshale project. He is currently travelling in Southeast Asia and Australia. Having graduated from Nottingham University with a B.Sc. in Microbiology, Chris took a year out working for a large utility company. However, he soon realised that stagnating in corporate bureaucracy was not for him, and that what he really wanted to do was scientific research. He joined BART as a Ph.D. student, looking at the microbiology of decommissioned and active mine spoil heaps (mineral heaps). With a Ph.D. degree under his belt, Chris is now doing postdoctoral research in the Laboratoire de Génétique Moléculaire, Génomique et Microbiologie at the Université Louis Pasteur in Strasbourg, France, where we wish him the best of success. Bernd graduated from Wageningen University (Netherlands) with an M.Sc. in Environmental Sciences, specialising in anaerobic wastewater treatment and where he became fascinated by the microbiology driving these systems. As consequence he continued research in this field and started a Ph.D. at the Laboratory of Microbiology at Wageningen University. The research focussed on the competition for hydrogen in a novel sulphate-reducing bioreactor, designed to remediate sulphate and metal contaminated wastewaters. Besides culture based techniques (batch and continuous), he also used molecular techniques (e.g. DGGE and FISH) to study and monitor the populations in lab-scale and full-scale reactors. 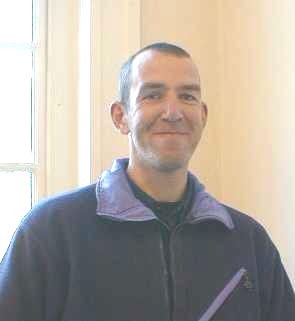 Having moved to Wales from the Netherlands, he joined BART in April 2005 to work on the ASURE project. The research focused on the underlying microbial and geochemical principles of acid mine drainage (“AMD”) remediation using constructed wetlands. Using a variety of molecular techniques (T-RFLP, clone libraries) along with microcosm work, and classical (anaerobic) culturing methods, he investigated the principle processes and microorganisms involved in the remediation processes in these systems. As an undergraduate studying Environmental Biology in Bangor, Bethan did an honour’s project with BART looking into organic acid tolerance in an acidophilic bacterium. 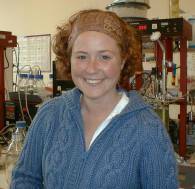 Doing time in the laboratory got her interested in extremophiles and bioremediation., so after she graduated she stayed on at Bangor to do a Ph.D. with Prof. Peter Williams. The Ph.D. was a study into oil-biodegradation in Antarctica. Because of the unique angle she took at looking at bioremediation in Antarctica, she was given the opportunity to go to Antarctica with the Australian Antarctic Division for 4 months and then work with them in Tasmania for another 4 months. After the time of her life she returned to Bangor to write up her Ph.D., which was awarded in May 2003. She then started working with BART, the team that set her off on a path to the farthest flung corners of the globe.... Beth left BART with our best wishes in the summer of 2004, after entertaining us for several years. She spent a year working in industry (CELTIC Technologies in Cardiff) and is now a lecturer in Microbial Ecology at the University of Gloucestershire. 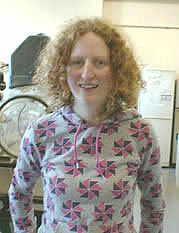 Anna was a lively member of BART for about 4 years having joined us in 1997 as a Bangor undergraduate. She studied sulphate reducing bacteria and their potential role in bioremediation of acid mine drain waters for her Ph.D. thesis, which she gained in 2001. She then found time in between her part time modelling for a well known High Street clothes retailer for some short term post-doctoral research into mine water microbiology. She now works in quality control at a local cheese producer, Glanbia Cheese Ltd., and calls in occasionally to cheer us all up. Dave joined BART in August 1999 as a part time research assistant funded by the Ministry of Agriculture, Food and Fisheries (MAFF) but also involving teams from the Agricultural Development and Advisory Service (ADAS, Gleadthrope), Institute of Grassland and Environmental Research (IGER, Okehampton) and the Henry Doubleday Research Association (HDRA, Coventry). The main objective of the project was to provide a better understanding of the nutrient cycling aspects of soil fertility in organically managed soils, especially the processes involved and the factors affecting these processes. James was an Ecology student who completed an M.Sc. with BART in September 2003. This involved looking at novel bacterial strains from acid mine drainage in the U.K. and Norway that are related to Frateuria aurantia, an organism that was isolated from flowers and fruits in Japan.